Novibet is an online gambling enterprise registered and licensed in the UK. It’s supervised and regulated by the Isle of Man Gambling Supervision Commission, as well as various independent authorities, such as IBAS (Independent Betting Adjudication Service). The bookmaker is one of the youngest in the branch as their license was officially issued on 27th May 2015. The company behind the brand is Novigroup Ltd. with a registration number of 124281C. Their headquarters are located in Clinch’s House, Lord Street, Douglas, Isle of Man, IM99 1RZ. Novibet has a strict policy against countries where the offshore gambling is prohibited. Usually, all of these countries are restricted to gamble with the bookie. The list goes on with Turkey, France, and the US in it. Novibet is a great choice for gamblers that need a fresh start and feel ready to start their journey with a dedicated gambling provider. Novibet also employs the latest rules for Responsible Gaming and actively supports various researches on gambling addiction and innovative treatments of this condition. 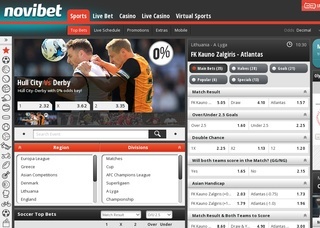 Novibet has tons of betting opportunities for their customers to pick from. The sportsbook includes an average number of sports, as the company is currently focused on their casino games. However, Novibet has great live sports betting support and a huge selection of virtual sports as well. 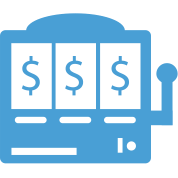 The gambling platform is intuitive and completely easy to navigate. As Novibet Casino is also a mobile casino, players can freely play their favourite online slots on their portable device, too, be it a mobile phone or a tablet. The online bookie offers exciting casino experience for their players. There are tons of Microgaming slots and some of the most popular games, such as Game of Thrones, Golden Era, Avalon 2 slot and many other. Novibet supports live casino games with a broadcasted dealer. Gamblers can dive in the most interesting games worldwide and more specifically – French and European Roulette, Blackjack in many variations, Keno, and numerous scratch games. Compared to many other online bookmakers, Novibet provides relatively good odds on their offered markets. Professional players can find some fine deals, especially on some of the major events in various sports. The minimum bet goes as low as £0.10 and credit bets are not accepted. The information about maximum bets is unclear and the only stated limitation is €80 000 for winnings. The football betting enthusiasts will be satisfied to learn that Novibet has most of the popular betting types on their favorite sport. Gamblers can easily select from the usual 1X2, Correct Score, Double Chance, Goalscorer, Odd/Even, Half-Time, Half-Time/Full-Time, Asian and Result Handicap, Under/Over, Next Goal, Corners, and Teams to Score. Novibet also supports the well known Accumulator bets, as well as N-Fold bets. The online bookie has a lot to share when it comes to security. The platform runs with SSL encryption certified by Thawte, and all the data is perfectly safe. Novibet also shares with its clients that all the software, which the company employs is carefully tested and verified by GLI (Gambling Supervision Commission). The servers also use heavy protection, which meets the most recent European regulations for cyber security. The Novibet’s representatives can be reached out by many different methods. The company encourages their clients browse the Terms and Conditions section and inform themselves. However, when a customer requires more specific help, there are several ways to contact the support team. Some emails are available, as well as live chat system and Skype account. For those with urgent issues, the telephone line is open 24/7. The supported languages are various, and you can easily review them in the table with the specific contact details in addition. The payment options and currencies available are listed in the tables. 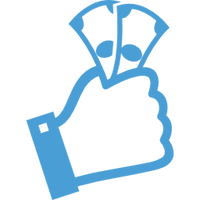 The good news is that the most popular payment methods are available. The bookie is making certain checks on the client’s identity before lifting the limits, which usually apply on withdrawals. The highest boundary is €1000 for any unidentified customer and €4000 for the users with proven identity. When it comes to bonuses and promotion, Novibet has surely some lucrative offers for their client. The bookie also offers excellent hot deals on accumulators and system bets. Some of them involve various insurances and other exciting offers. Auto Price Boost and The Match Ends at 88′ are two very adventurous promotions. Auto Price Boost means basically more events you bet, bigger bonus will be calculated to your account (3 events – 5% extra bonus, 4 events – 10% extra bonus…, 14+ events – 100% bonus). The rule The Match Ends at 88′ means that if you bet on a live game Novibet returns all losing bets that were winning up to the 88th minute. Football betting lovers will enjoy a free bet of €5 if they simply state their favorite football club. Novibet offers a Welcome Casino Bonus 100% up to €250 too!